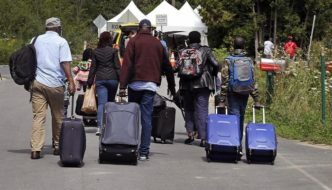 Jihad Watch : Already “overwhelmed by asylum claims from irregular migrants crossing the U.S. border, the Immigration and Refugee Board is fast-tracking” refugees from selected countries. Those countries are: “Afghanistan, Burundi, Egypt, Eritrea, Iran, Iraq, Libya, Pakistan, Saudi Arabia, Sudan, Syria, Turkey, Venezuela and Yemen.” Over 26,000 illegals have crossed the border between 2017 and 2018, and only 1% of them have been removed. Most are Nigerians.